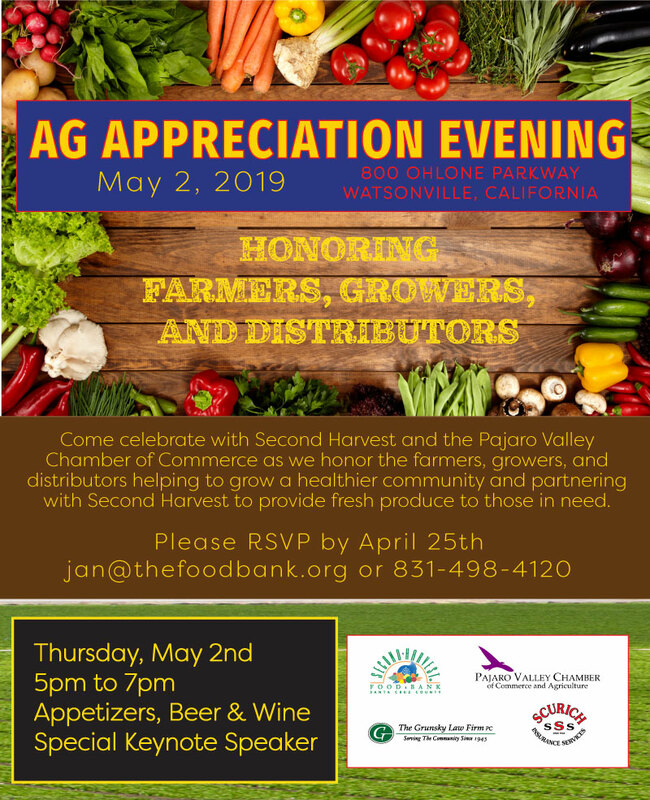 Join Second Harvest Food Bank Santa Cruz County and the Pajaro Valley Chamber of Commerce as we honor our farmers, growers, and distributors in the local Ag Industries. They partner with us to grow a healthier community by supporting the food bank with fresh produce for those in need. Appetizers, beer and wine, and Keynote Speaker.